Nerma Prnjavorac Cridge was educated at the universities of Sarajevo and Birmingham, the Bartlett and the Architectural Association. After participating in an Antarctic expedition she become Special Envoy to UNESCO in 1997. Distinguished practitioners Nerma has worked for include Thomas Heatherwick and art2architecture. Nerma’s drawing installation ‘Echo’ featured in 2010 ‘Drawing Out’ festival at RMIT. She is currently lecturing at Central St Martins and Brighton University. Starting from a premise that many highly important architectural projects are not simply unbuilt, but rather unbuildable, the thesis defines the category of the unbuildable. Both the unbuildable and the buildable will be revealed as working distinctly, but pertinently, not in opposition to one another. 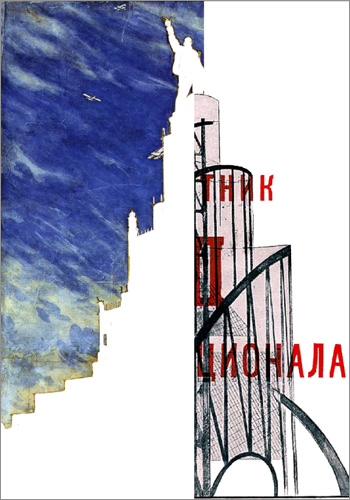 The discussion focuses on case studies from the peak period of the unbuildable -post-revolutionary Soviet Union- including Tatlin’s Tower and the Palace of the Soviets. Speculations on El Lissitzky’s Cloud Stirrups form the basis for the examination of the notion of an architectural series. PhD awarded 2012.